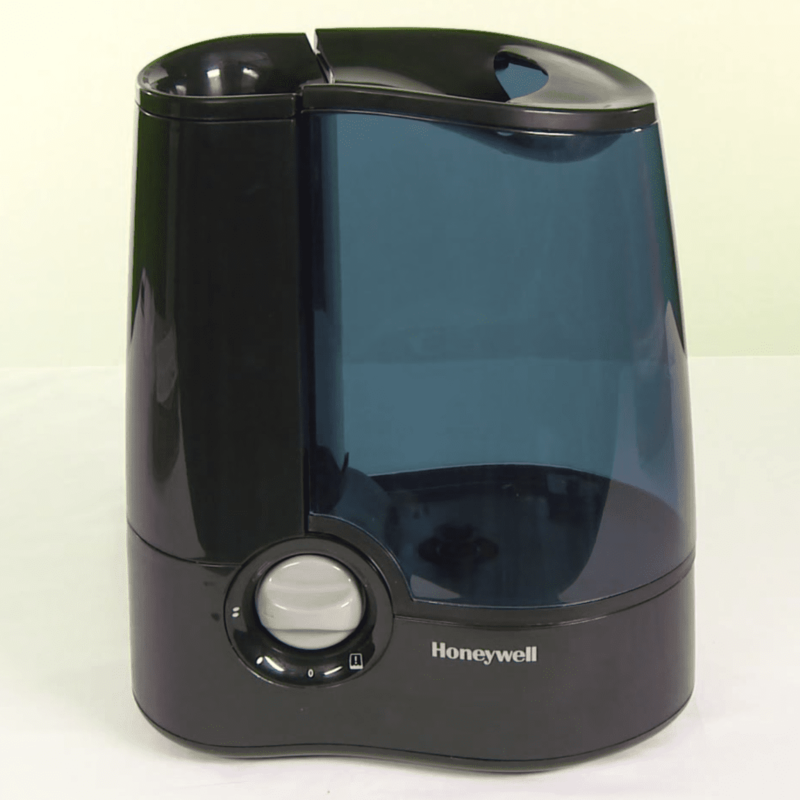 Honeywell HWM705B is well designed warm mist humidifier with moisture output around 1 gallon per 24 hours. That is enough for rooms up to 250 square feet. 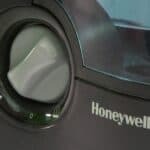 Honeywell HWM705B is filter free. 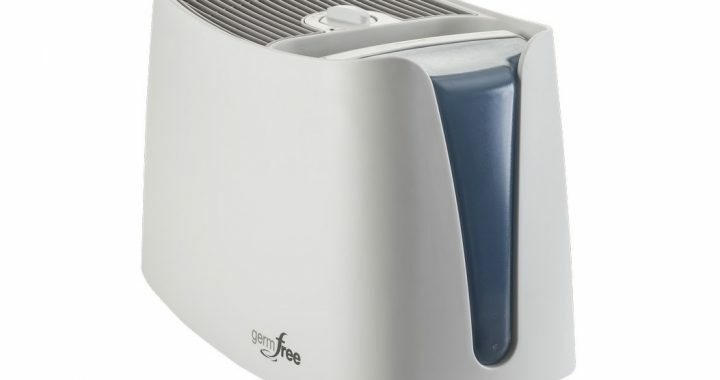 It provides soothing, a visible warm mist that helps make you and your home more comfortable. Also, the Honeywell HWM705B price is very friendly. Honeywell HWM705B looks like a classical humidifier. It has a transparent water tank with the top-fill design. Filing the top-fill tank is as easy as spraying a plant. The water tank is also removable. 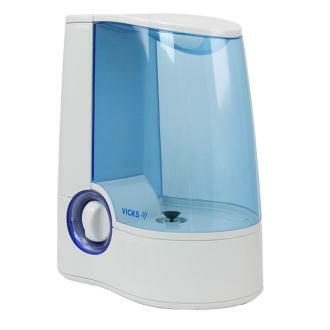 The humidifier is small, height x width x depth is 12 x 10.5 x 6.2 inches, weight is only 5 pounds. The best place for it is table or rack. Auto shut-off when empty. This means you don’t have to bother if the water in the reservoir falls below minimum levels. 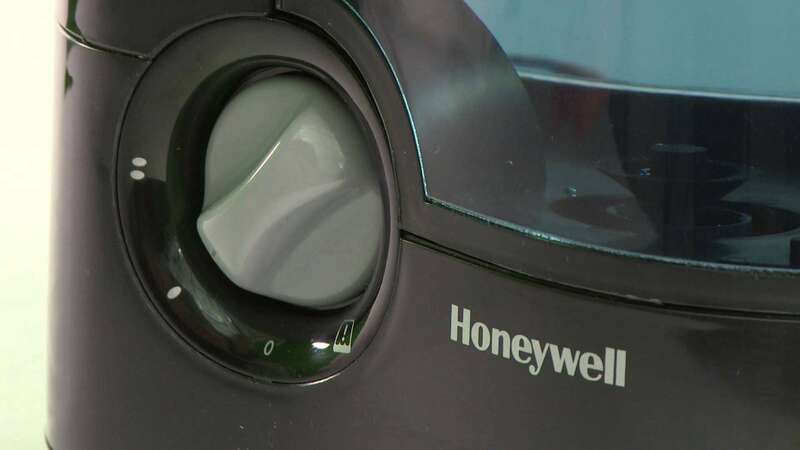 For your convenience, a refill light illuminates when water container needs to be filled. 2 moisture output settings allow you to choose the best option according to your comfort levels. Deep and narrow medicine cup enables you to put in essential oils for aromatherapy. Easy to use manual knob control. The boiling water kills bacteria in the water. 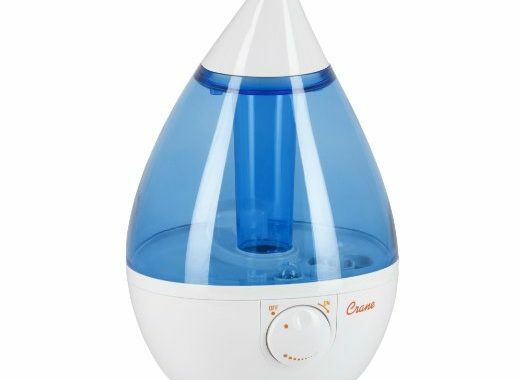 Cool mist humidifiers do not do that. 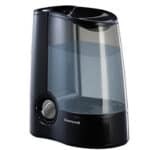 For a warm-mist humidifier, it is very quiet. It makes some noise when water boils and when the water level falls and allows water to flow from the tank you get a gurgling noise as air replaces the liquid in the reservoir. Good thing is that the design is very clever and unit blocks most of the noise beginning with the plastic baffle and then through the cooling tower. Very easy cleaning. Soak the unit in vinegar for about 15 minutes. Then brush off the scale of the with a toothbrush like a large tooth. Plastic parts are also easy to clean. The water tank is quite large and the unit works for 24 hours. So you don’t have to refill it often. Also, refilling is super easy. 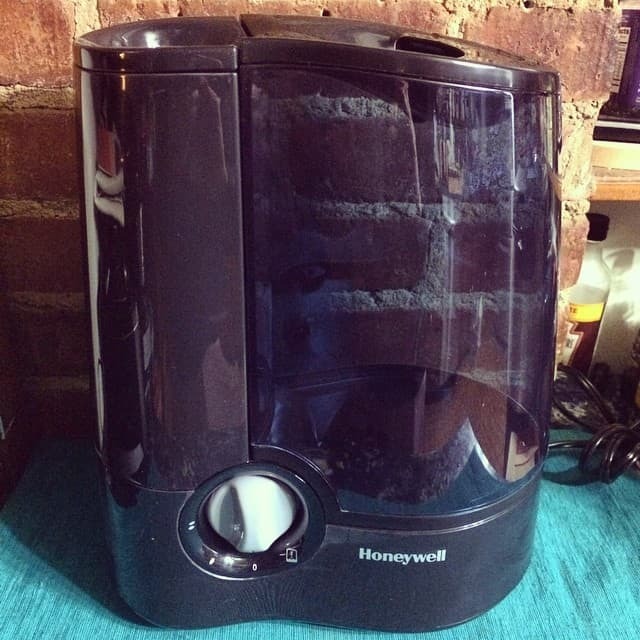 Honeywell HWM705B is great warm mist humidifier. It has all you need and even more. No crazy cleaning, no refilling every hour. Plus it has a medicine cup and you can use it as a diffuser. 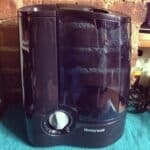 Posted in Humidifier Reviews, Reviews and tagged honeywell, Humidifier, Humidifier review, Warm mist. ← What Are Dust Mites? !